Wood flooring is a highly sought after look for many homeowners, but it can be too cost-prohibitive for many of them to install. 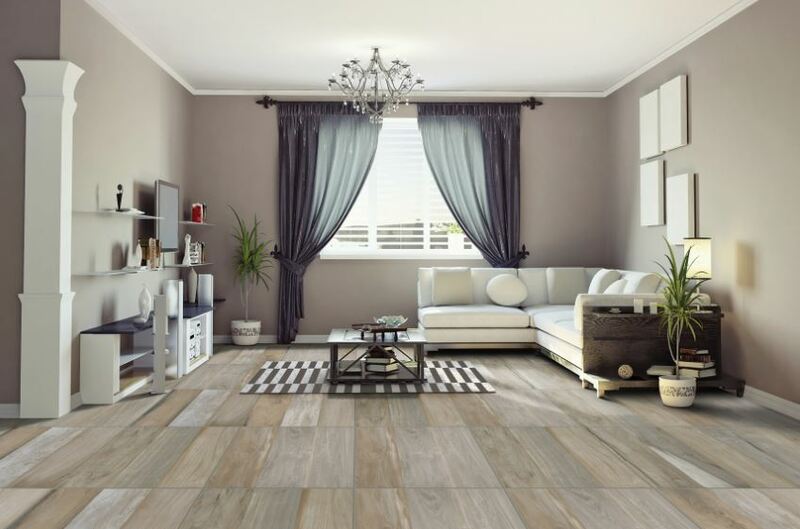 Advances in printing and manufacturing technology have enabled leading manufacturers to reproduce both the look and the feel of wood in affordable, hardwearing ceramic tiles. Patrizia Cortese, Product Manager for Ceramic Industries, says that virtually every last detail of wood can be recreated. The picture-perfect images created by inkjet printing are complemented with structured surfaces that follow the ridges and dents of natural wood, giving a realistic feel underfoot. “You get all the wood-grain detail, the knots and natural variation of real wood. Even scuff marks, if you want them,” says Patrizia. Ceramic Industries has launched a new range that gives consumers dozens of options to choose from. Exotic and antique woods, which are either exorbitantly expensive or simply not available anymore, have also been included in the range. Some of the new looks include the Stellenbosch tile, which replicates the flooring in historic homes, and Komodo and Samoa Brown, reproducing rare species of wood. Country Wood offers Provençal shabby-chic, replete with worn whitewash paint, and Jakarta even features convincing saw-blade scuff marks. Ceramic Industries is also capitalising on the fusion trend with the City Wood tile, which blends wood grain and natural stone features. The wood-look tiles are locally produced through an eco-conscious process. They are cost-effective, easy to maintain and don’t require any tricky varnishes or installation methods. Every designer can now install beautiful wood-look floors in their leading projects. For more information, contact Ceramic Industries on Tel: +27 (16) 930 3600 or via www.ceramic.co.za.